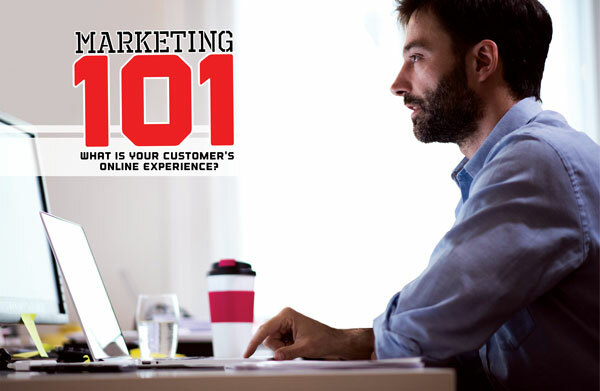 Marketing 101: What is Your Customer’s Online Experience? How do your online properties represent your company? Do they build credibility? Do they generate confidence? Do they accurately portray what your company does and why it is different and better than its competitors? The online customer visit has become every bit as important as the face-to-face visit for businesses. All too often, companies today still do not behave as though online customers are equal to those who walk into their physical location. It seems that the adage “out of sight, out of mind” is out-leveraging the importance of the online customer. Being blind to the online customer experience has an impact. It is commonplace for customers to visit company websites to check out things before committing to an in-person visit. In retail, customers shop online for televisions before visiting the store to actually buy one. Patients visit medical provider sites to get addresses, maps, and phone numbers before their office visit. In business, potential customers and suppliers visit a company website to gauge the credibility and capability of the company before engaging the company. In addition to having a healthy, working, online presence, every business should be aware of how they compare to their competitors online. People commonly browse more than one company from the convenience of their computer or smartphone and will come to conclusions when contrasting them. The vitality of a business’s online presence can be the difference between a potential customer actually calling or a referred customer following through on a recommendation to use the business. Have you ever been on a website and been lost, can’t find the information you are looking for, or can’t even find a phone number to call? A person always has a mission when going online. There is always a problem to solve. The goal of online properties should be to help solve user problems and provide some guidance. Anything getting in the way of the user’s mission is frustrating. Being lost on a website with poor navigation and lack of information is frustrating. A customer who is online and frustrated is going to associate the frustration and aggravation of a poorly designed website with that company. A frustrated (potential) customer may never contact the company. And, if they do, they may start their relationship irritated or simply think the company is not professional. Do you despise websites that are busy, boring, or not visual enough? When browsing a website, especially for the first time, the natural user tendency is to first scan the page. Users are scanning for photos, illustrations, graphs, or anything else that conveys information visually. Users next scan headings and bullets. This exercise of scanning is a way for users to quickly find information that is going to be useful to them. Users are trying to decide if there is content that is worth dedicating their time to reading or investigating further. A design being either too busy or too boring are common complaints among unsatisfied users. When a website is too busy, the clutter is distracting and in the way of the user’s task at hand. Users who do not feel like they are getting what they need quickly and easily will likely leave the site. Remember, users are on a mission and do not like to waste time. They also have little tolerance for unappealing experiences. Always keep in mind, users have options. Chances are their search engine gave them thousands of options to choose from beyond a single business’s site. Make sure your site lives up to your users’ needs and expectations. Is your social media presence lacking or nonexistent? Social media is a broad term. 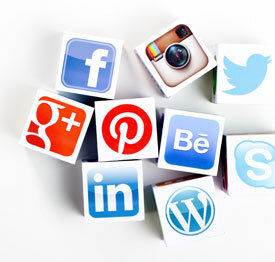 The fact is that more and more people take advantage of social media to gather information on people and businesses. Social media has also taken a leading role as a way to communicate directly with customers — sharing function with older mediums like direct mail and email. While it is fair to say that social media is more important for some businesses than others, an understanding of social media is a must for all businesses. There are several types of social media, each with a different focus. So, it is more accurate to say that different social media tools and properties are better for different businesses. For example, a women’s boutique may thrive by placing new product images on Facebook, Twitter, and Pinterest, while a manufacturing company will likely find a great deal of usefulness through LinkedIn and YouTube channels, where they can connect with professionals in their industry and share videos of processes and expertise. Discounting social media altogether for any business is likely short-sighted, and may have financial ramifications. In Google searches, is your website at the bottom of the list or not showing up at all? The first step in an online experience is being found. When people want to find something online they go straight to their smartphone, smart device, or computer and “Google it.” If a website or online property cannot be easily found using a search engine, most users searching for the site simply will not find the site. Search Engine Optimization (SEO) is the practice of optimizing websites and online properties so they show up higher in online searches, with the first position on the first page being the premier placement. Optimizing an online presence is not a mechanical, one-size-fits-all process. Optimization must be tailored to a business and its goals. To properly optimize a site for search engines, it must be managed so that it will be found when users search with terms that are accurate for the business, or with terms that are “close enough,” taking into account some misspellings or slightly inaccurate information. It also involves the integration of all of the online properties of the business. Gone are the days of the Yellow Pages. Here are the days of the search engine. SEO is critical for businesses today to make sure they are found online. Having a broken online presence or being nonexistent in search engines damages credibility and will cost a business customers. Do your online properties work for all devices? Today, more than half of all web traffic comes from mobile devices — specifically smartphones and tablets. If online properties do not account for these smaller screen sizes, they may lose customers who find the content and site difficult to interpret and navigate. Additionally, in April 2015, Google officially declared that sites that are not “mobile friendly” may be penalized in search results when users are searching from mobile devices. That means that if a site is not mobile friendly it may not even be seen by more than half of online users — those who are searching from smartphones and tablets. Deficiencies in online presence are common, as are the detrimental effects. Many companies do not put forth effort to establish a proper online presence simply because they never have in the past and they “have gotten by fine without it so far.” That false reasoning does not exempt those companies from the effects of not establishing an online presence, or fixing and maintaining one that is lacking. A proper online presence works past company hours. It never sleeps. It represents the company to customers 24 hours a day, 7 days a week. Creating and maintaining an online presence does take effort, but it is definitely achievable. It requires technical knowledge, business acumen, and creativity. Websites, social sites, and online registrations must be set up properly and integrated. Creative, accurate, and effective content and media must be generated and placed. Brand strategy must be positioned and followed. If your company does not have expertise on staff, there are professional agencies that can help. It is important to find one that understands your company and works well with your team. Design, programming, writing, photography, video, SEO, online advertising, and hosting all are typical elements in an online presence. The more that the agency can produce in-house, the better. Making wise choices in your company’s online presence will prevent damage caused by poorly executed elements that do not represent your company, and will help you avoid lost business due to having no online presence at all. Wise choices will help grow your business, help you recruit new employees, help customers find you, and help you represent your company to the world in a way that is appropriate, and will ultimately gain mind and market share for your business.